Happy New Year, friends! 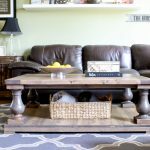 Have I got a treat for you today – do you remember my DIY balustrade coffee table? 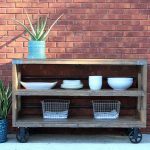 It’s okay if you don’t, I built it almost 3 years ago but it’s been quite a popular project and I’ve seen so many of you build it for your own homes. I just love that. 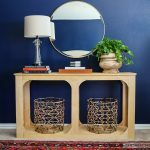 Well, I’m thrilled to kick off 2017 with a matching console table! It’s a great honor to collaborate with the lovely and talented Sheri from Hazel and Gold Designs! 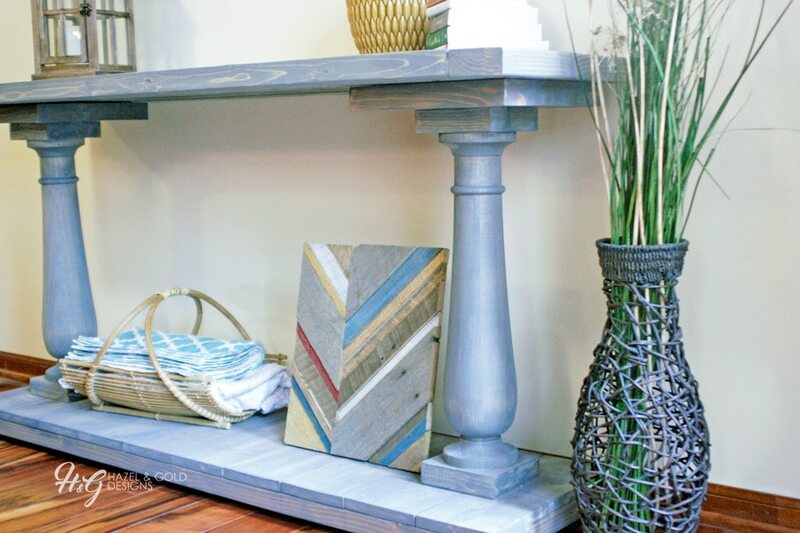 If you’re a Restoration Hardware junkie like we are, then you’d be familiar with this console table. Oh, but did you peep that price tag? It just hurts my heart. Well, we have amazing news for you, dear friends. 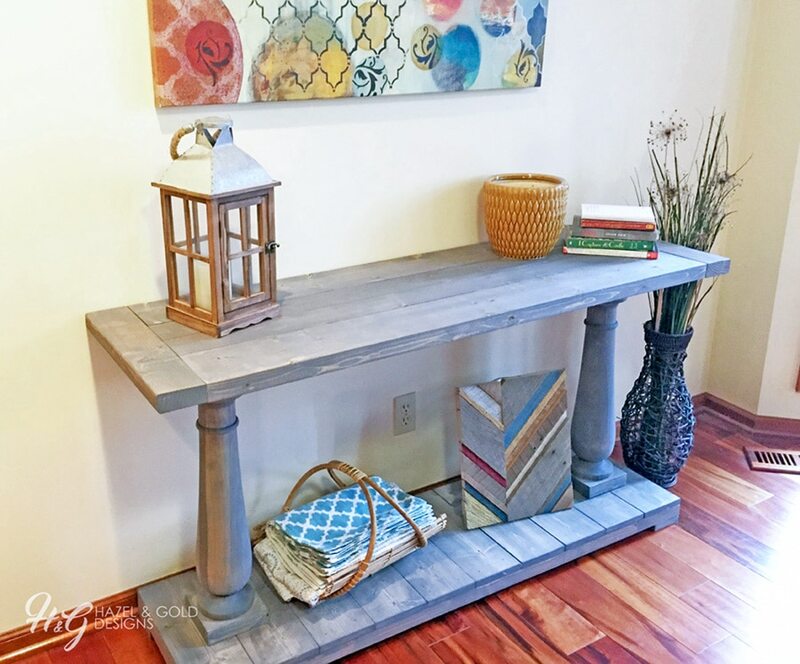 Sheri built her balustrade console table for under $200 and we’re sharing the free plans with you today! Let’s do a victory dance. 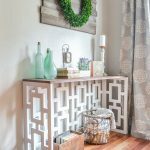 Sheri used the knotty pine species. 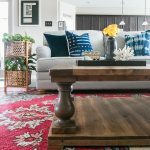 And who knew framing lumber could look so good?! 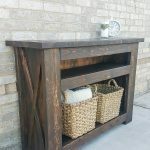 Sheri walks you through her building process, step-by-step, so be sure to stop over, say hello, and check out more photos and building tips there. 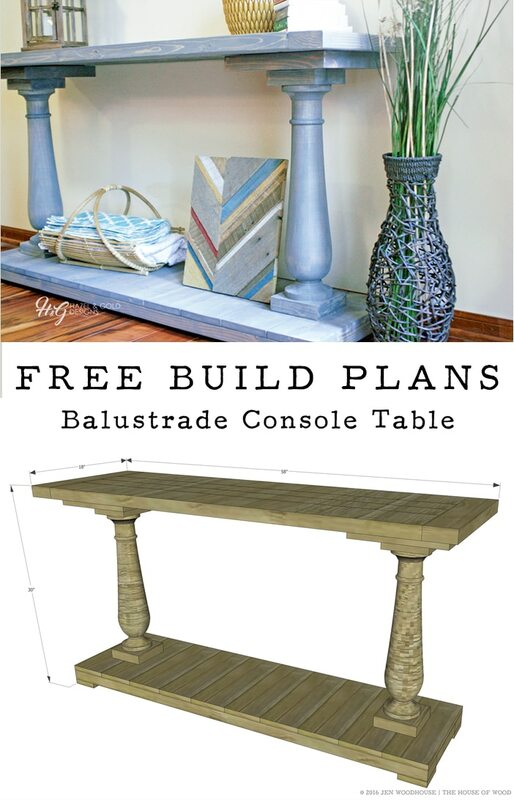 So are you ready to build this DIY balustrade console table for your own home? We are SO excited to share the plans with you all! 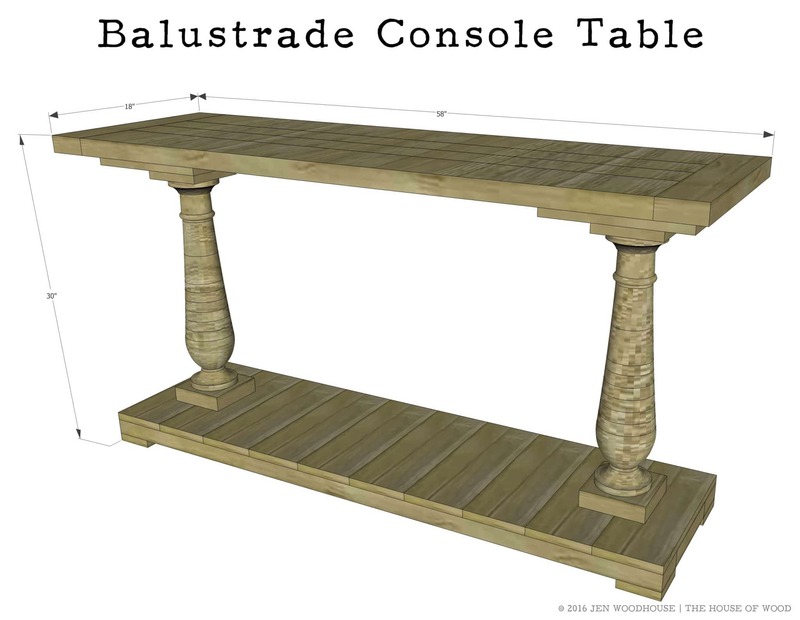 DOWNLOAD THE PDF PLANS FOR THE BALUSTRADE CONSOLE TABLE HERE. Thanks for stopping by, friends! Don’t forget to give Sheri some love by visiting her site! 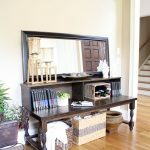 Please PIN and SHARE this project if you love it! Where did you get the legs? Go to The plans and down near the bottom it will say Osborne Wood. 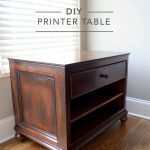 This is the sight you can order them in many different sizes and shapes. Happy Day! !